The Honda civic is a popular small sedan that Honda is trying to make even more popular. 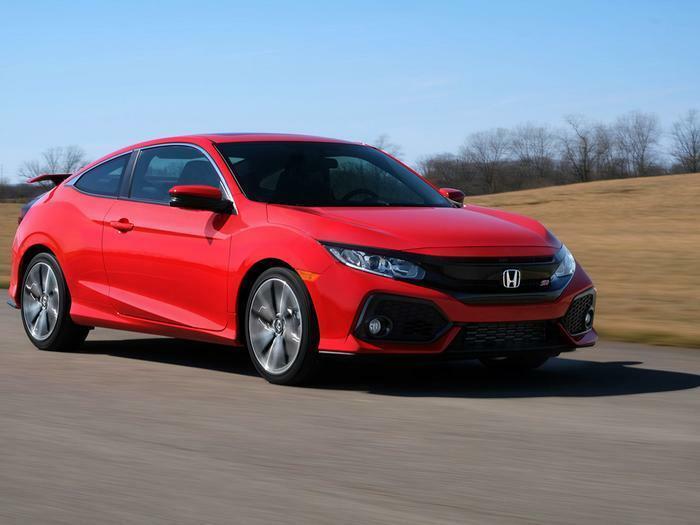 Over the weekend it released sportier versions of the car in the form of the 2017 Honda Civic Si coupe and sedan. Honda calls it the most ambitious remake of the Civic in its 44-year history. Under the hood the Si boasts a high-performance, high-torque turbocharged DOHC in-line four-cyinder engine. Honda says the engine's peak 205 horsepower is achieved at 1300 rpm lower in the rev range. A six-speed manual transmission is the only power train option. Both models are lighter than previous generations, helping to boost fuel efficiency. Both come with a default “normal” driving mode and an optional “sport mode.” Normal gives you a smoother ride while sport offers quicker response and a tauter driving experience. The Civic Si also comes with a lot of technology upgrades. There's a standard seven-inch display screen in the dash that delivers a lot of performance data – things like lap times and turbo boost. The infotainment system offers both Apple CarPlay and Android Auto. Sound is delivered through a 10-speaker system. On the exterior, both models will likely turn a few heads. The front end features a gloss black Honda “wing” and sizable lower air intakes. Eighteen inch split five-spoke alloy wheels come with a machined finish, low-profile tires and a chrome center-mounted polygonal exhaust finisher. The rear of the Si coupe has the Civic coupe's signature full-width light bar, then accents it with a raised wing spoiler. What might be just as attractive to car buyers is the price. Both the Si coupe and sedan start at just under $24,000. Both models achieve between 28 and 38 miles per gallon, with a combined EPA rating of 32 mpg.